Toxic elemental impurities should be tested in pharmaceutical products because class 1 elemental impurities are very toxic to the human and these can harm patient's life. As pharmaceutical patient safety is the top priority, therefore, one must be keen elemental impurity testing of sterile formulations to prevent the introduction of hazardous elements in drug products.products. Since technology is improving every now and then so do the techniques of elemental impurity testing of sterile formulations. These elemental impurities in the drug products arise from several different sources; These sources include residual catalysts that are added intentionally in the drug synthesis or may be as just an impurity as a result of interaction with processing or handling equipment and tools. Since the impurities do not provide any therapeutic benefits to the patient there levels should be kept to the acceptable limits. These elemental impurities have been categorized into three classes based on their level of toxicity (PDE) and also the likelihood of their occurrence in the drug products. The likelihood of occurrence is derived from factors such as the probability of us in the pharmaceutical process, probability of it being co-isolated in with other impurities, the abundance of an element and also the environmental distribution of the element. Some of the elements considered for elemental impurity testing of sterile formulations are as follows. Class 1 Elements: The elements that are toxic to humans and have limited or no use in the manufacture of pharmaceutical drugs. These elements include arsenic (As), cadmium (Cd), mercury (Hg), and lead (Pb). Since they are not used in the manufacture of the drugs their presence in the drugs is majorly from used materials. Based on the risk-base approach this class 1 elements are normally evaluated across all sources of elements and also the possibility of their contamination during storage. After the risk assessment, the outcome will determine the components requiring additional controls, which may include testing for Class 1 elements. Not all elements require testing for class elements. Testing is done only if the risk assessment indicates its necessity to ensure that PDE is met. Class 2 Elements: These elements are normally considered to route dependent elemental impurities. They are further subdivided into 2 sub-classes 2A and 2B this criterion is based on their likelihood to occur in the drug product. Class 2A has the high probability of occurring in drug products hence should be evaluated in all possible sources during risk assessment. They include elements such as elements such as cobalt (Co), nickel (Ni), and vanadium (V). Class 2B elements, on the other hand, have a reduced probability of occurring in the drug product. They can, therefore, be excluded from risk assessment unless it is intentionally added. during the manufacturing process. 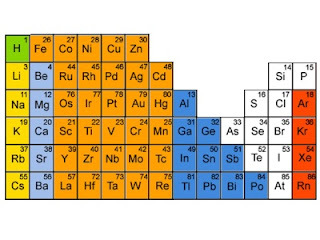 Elements in this class include silver (Ag), gold (Au), iridium (Ir), osmium (Os), palladium (Pd), platinum (Pt), rhodium (Rh), ruthenium (Ru), selenium (Se), and thallium (Tl). Class 3 Elements: These elements are considered to have very low toxicity by the oral route of administration. However, they can warranty consideration during risk assessment for inhalation and also parenteral routes but not in oral routes. Class 3 elements include barium (Ba ), chromium (Cr ), copper (Cu), lithium (Li), molybdenum (Mo), antimony (Sb ), and tin (Sn). There are also some other elements which PDE considers to have inherently low toxicity level and also variability in regional regulation. For almost a century the use of a wet chemical method that has the visual evaluation of the results has been the standard of testing and determining the total quantity of heavy metals elements in both APIs and excipients. However, things seemed to be evolving in the Elemental impurity testing of sterile formulations in the pharmaceutical industry as new methods are being introduced and wet method being replaced by the new Risk-based approach method. The two top organization in the pharmaceutical industry that is United States Pharmacopeia (USP) and the International Conference (ICH) have imposed this new guideline and have updated or in the process of updating the elemental impurities control, analytical requirements risk-based approach will result in significant in the pharmaceutic industry. This changes, including new proposed limits, which will require companies, contract manufacturers, contract laboratories and even suppliers to comply.